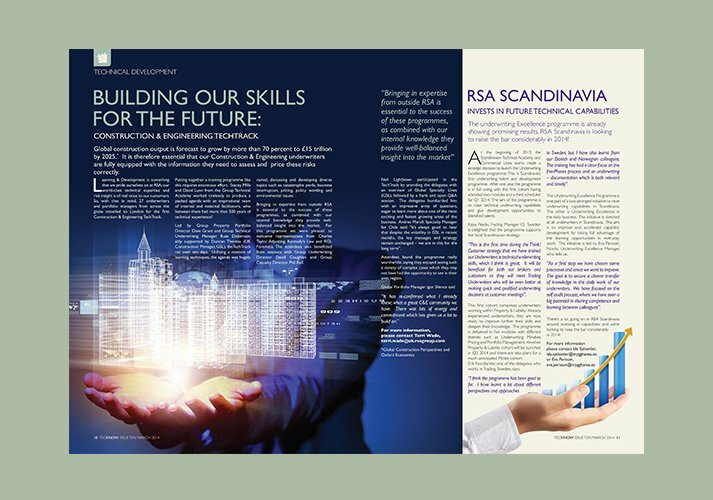 RSA is one of the world’s leading multinational quoted insurance groups with around 19,000 employees and operations in the UK, Scandinavia, Canada, Ireland, Asia and the Middle East, Latin America and Central and Eastern Europe and the capability to write business in around 140 countries. 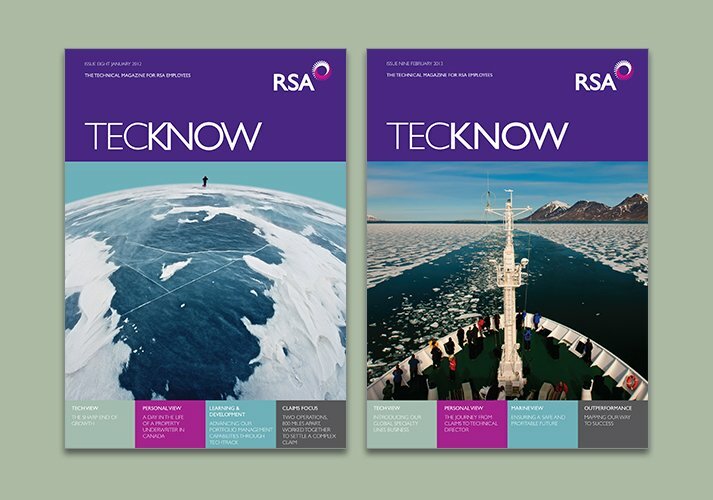 ICD were approached by RSA to take over the design of their specialist global training magazine Tecknow. 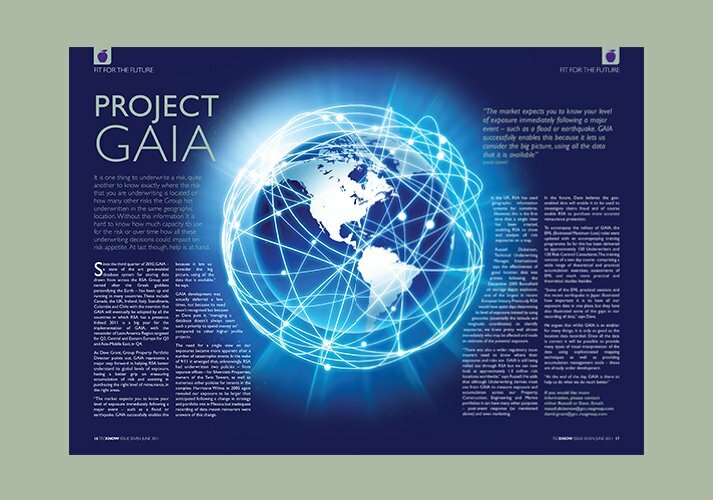 This was done in a smooth professional manner to the clients gratitude.